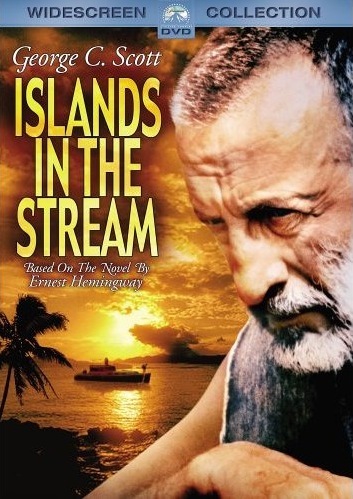 Not even the sizable talents of George C. Scott can elevate Islands In the Stream from its place among the worst of the Hemingway movie adaptations. In both movies the captain tells the rummy to stay behind while he heads out to sea. In both movies, Eddie stows away and makes an appearance after the ship is well underway. That’s a strange coincidence. Either that really happened in Hemingway’s life, or he truly liked those characters and didn’t want to relegate them to just one novel. I’ve come to the conclusion that Hemingway’s novels work even though they shouldn’t. The characters speak almost like children, with short, simple sentences, and – for the most part – their hearts on their sleeves. I remember reading interviews with Led Zeppelin guitarist Jimmy Page in which he described his recording philosophy in these terms: “Distance equals depth.” By that, he meant by placing the microphones a distance away from the instruments (particularly the drums) it creates more depth to the recordings. This is somewhat how Hemingway works. There’s a detachment with which Hemingway writes, a sort of emotional distance. 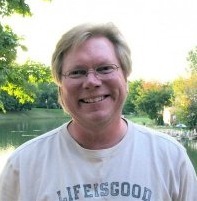 His characters don’t seem emotionally attached or engaged with one another or their surroundings. They’re observers, even as they are participants. Yet, that creates a kind of depth in the minds of readers who fill in the blanks with greater meaning. But what works in print is just plain silly on screen. There short, clipped, emotionally-detached words and phrases seem out of place, even inappropriate. Maybe that’s why movie adaptations of Hemingway’s novels pale in comparison to the original works. Islands in the Stream is the story of Thomas Hudson, a divorced painter/sculptor/boat captain during the days just prior to World War II. He’s a hard-drinking, hard-living man with friends to match who dies on the deck of his boat when the Cuban coast guard, whom he and his ship-mates were trying to outrun, finally catches up to him and sprays him with bullets. The acting, especially from Hudson’s three children, is atrocious. Overall, the story seems as artificially stuffed with meaning as a Butterball turkey is stuffed with flavor. Worse, the setting for the movie – gorgeous islands with water and skies so blue they look like polished lapis stones – is more interesting than the storyline or the actors. My eyes kept wandering to the scenery in the background even as my ears were filled with the sounds of perpetually crashing waves. It looked like a heavenly place to live. Too bad no one lives in Hemingway novels. I didn’t like the novel and I didn’t like the movie. On a scale of 1-10, I’d give this a 2.